The Intermedia, MFA VS, and Video/Sound Departments are hosting a lecture by Curator/Critic/ Art History Professor at UC Berkeley: Julia Bryan Wilson. 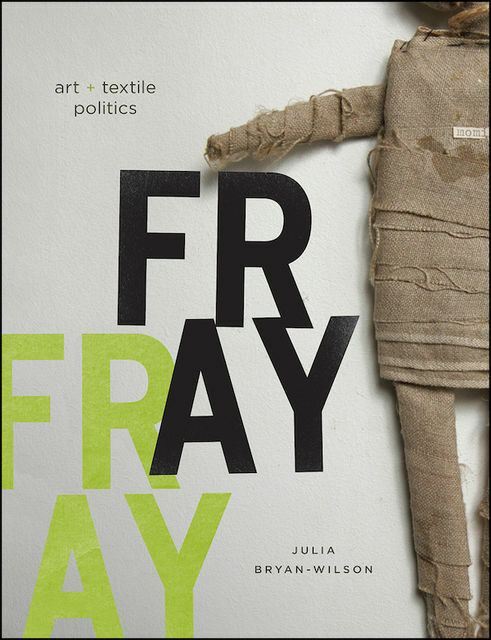 She will talk about her 2017 book: Fray - Art and Textile Politics, as well as her book: Art Workers: Radical Practice in the Vietnam War Era. This will also occur in conjunction with a conversation following the lecture with the author, screenwriter, Jon Raymond. Jonathan Raymond is an American writer living in Portland, Oregon. He is best known for writing the novels The Half-Life and Rain Dragon, and for writing the short stories and screenplays for the films Old Joy and Wendy and Lucy, and Mildred Pierce. His writing was included in the 2016 Oregon Biennial.